Orchids are some of the plant world’s most beautiful and persistent survivors, with origins dating back to the time of the Tyrannosaurus! They come not from one genus, but from over 800 natural genera with more than 100,000 hybrids. While some Orchids grow in soil, many of the Orchids popular for our homes today actually grow in trees in their native habitats. Recorded history of Orchids dates back to early Greek civilization where Orchids were valued for use in aphrodisiacs as well as for their medicinal properties and stunning beauty. They became collector’s items in the Victorian era and many of their natural habitats were destroyed, and populations wiped out, by profiteers seeking to get rich off this flower frenzy. 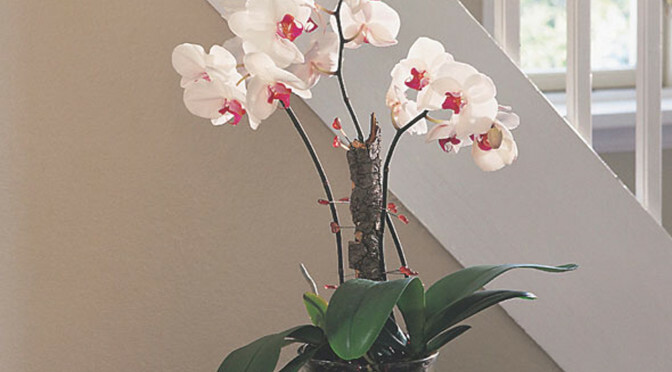 Orchids in today’s retail marketplace are sustainably propagated and grown. Modern Orchid societies and conservation groups work to preserve native habitats of Orchids and our purchase and enjoyment of them is now a help, rather than a hindrance, to the survival of these valuable species and their ecosystems. Previous PostHouseplants as an Indoor Nature ConnectionNext PostTerrariums…A Trend to Get Inside Of!